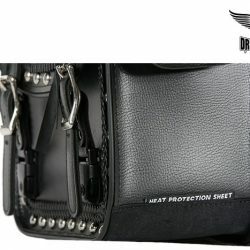 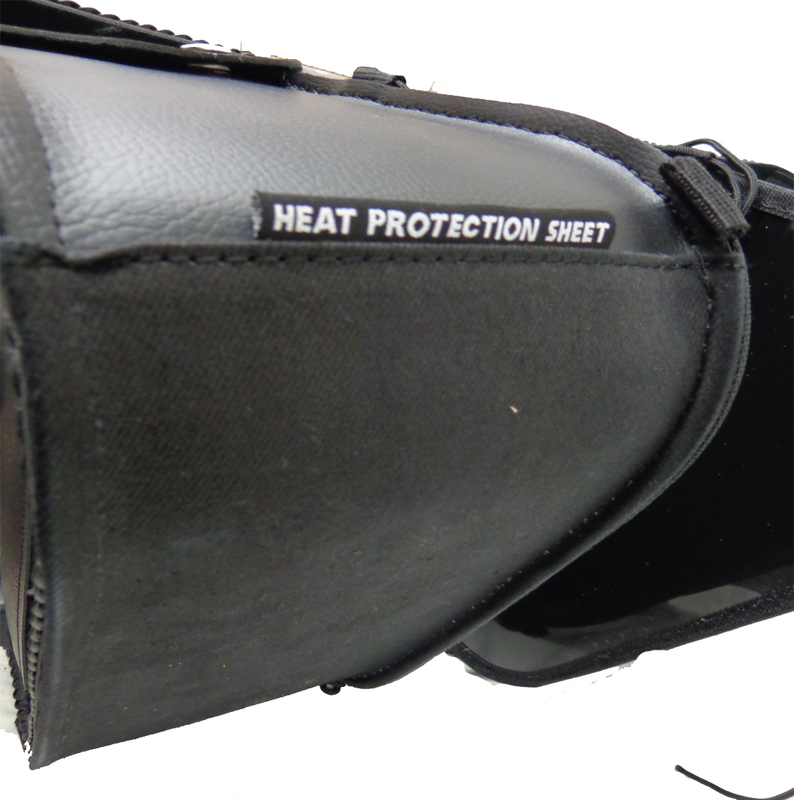 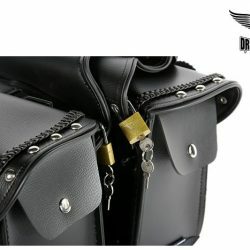 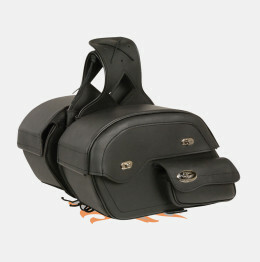 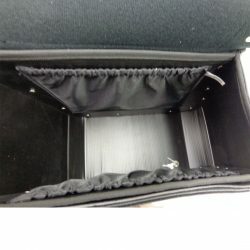 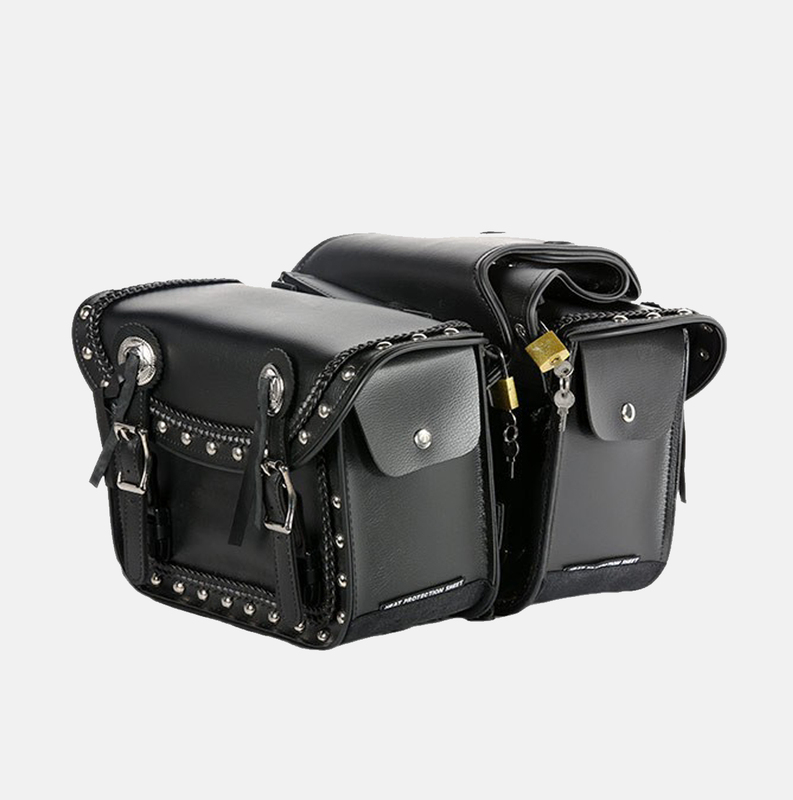 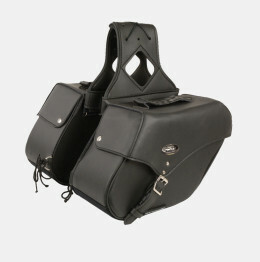 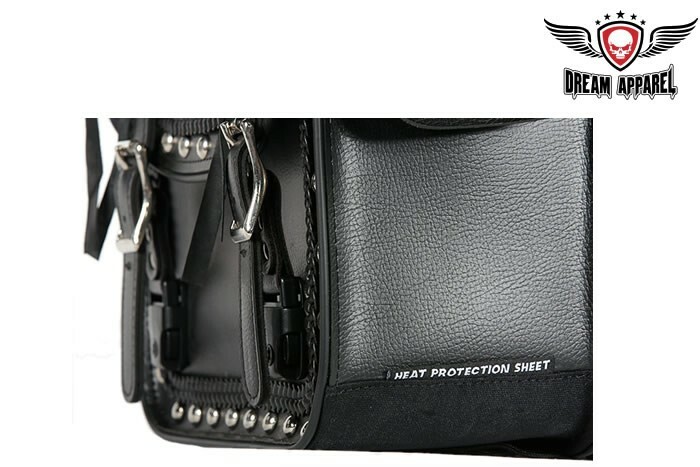 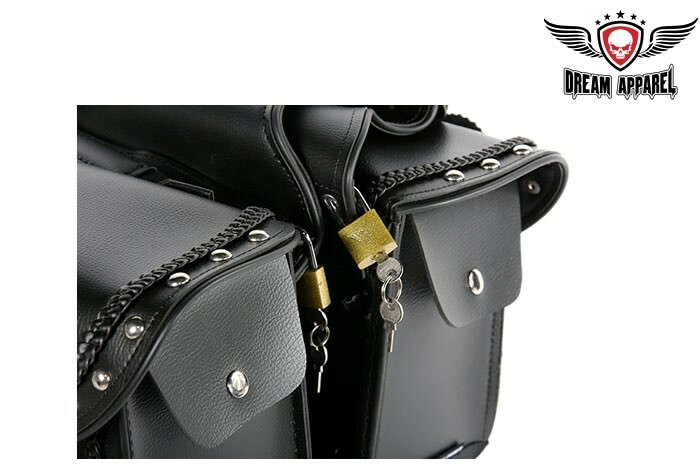 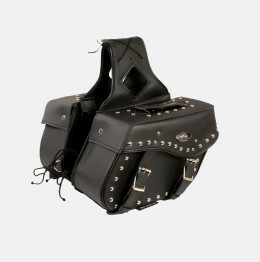 This 2 strap studded motorcycle saddlebag has buckle closures with Velcro backup. 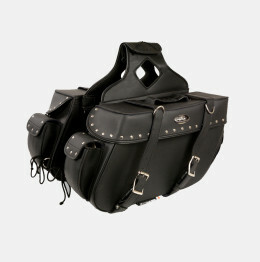 A good, serviceable piece of biker gear. This set would look great on any bike and give you plenty of room.